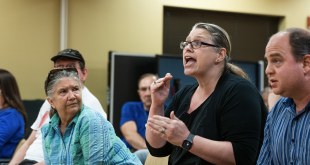 Some North Central Florida residents have experienced forms of vandalism and violence following November’s elections. WUFT News is compiling the reported incidents and will update this list if and when more occur. 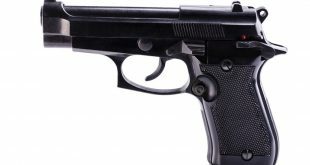 Swastikas and other messages were spray-painted on a fence in front of the University of Florida’s Delta Tau Delta fraternity house early Nov. 20. There were also reports of a broken window. As 1,000 anti-Trump protestors marched in front of the house Nov. 19, one fraternity member waved a Trump flag. The anti-Trump event attracted about 1,000 protesters, who marched from the Stephen C. O’Connell Center on UF’s campus to Bo Diddley Plaza in downtown Gainesville to express their dissatisfaction with the election results. During the march, a protester tried to take a “Trump/Pence” flag from a Trump supporter, which ended with both the Trump supporter and protester in a scuffle on the ground. Also, video posted to YouTube shows a motorcyclist making contact with a protestor. Someone wrote a racist message on a door in UF’s Beaty Towers dorm on Nov. 17 or 18, but the message has since been painted over. 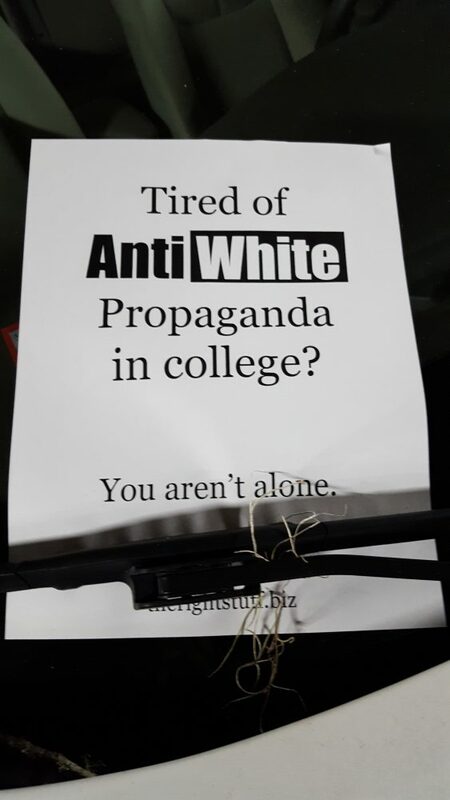 Fliers reading “Tired of Anti-White Propaganda in college? You aren’t alone” were placed on car windshields on the second floor of the O’Connell Center’s parking garage during the UF’s home football game against South Carolina on Nov. 12. The fliers prompted UF President Kent Fuchs to denounce all forms of hate speech. 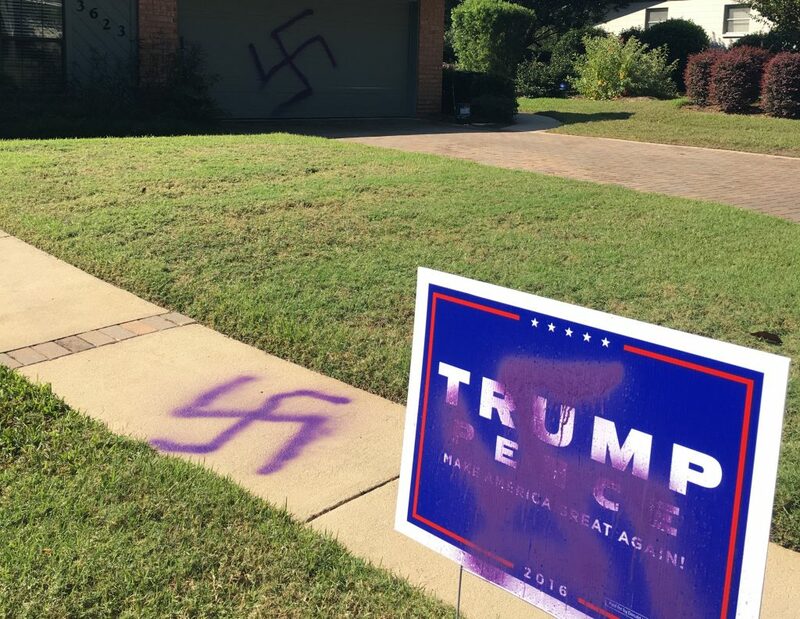 Swastikas were spray-painted on a Gainesville resident’s yard, house and Trump sign on Oct. 26. 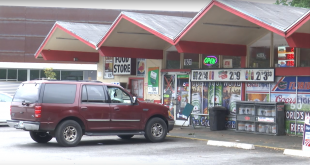 At that time, Gainesville police spokesperson Ben Tobias said similar incidents were under investigation.